International Women's Day was colorfully celebrated at Adama Science & Technology University. Adama Science & Technology University is working in collaboration with a number of world class universities and research institutes. A well furnished Science, Technology, Engineering & Mathematics (STEM) Center has been inaugurated at ASTU. The center has got four laboratories and a hall. 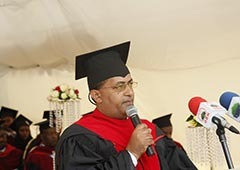 The center was established and furnished with an outlay of 15 million Birr. The donor of the project is Mr. Gelfand & Family. 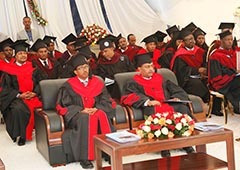 ASTU top management, invited guests and trainees have attended the ceremony. International Women's Day was colorfully celebrated at Adama Science & Technology University. 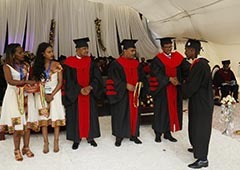 President of FDRE Ambassador Sahile work Zewde, Vice president of Oromia Regional National state Teyiba Hassen and Professor Hirut W/mariam, Minister of MoSHE took part in the event!!! On the occasion, ASTU has showcased its relentless efforts of capacitating women and girls. 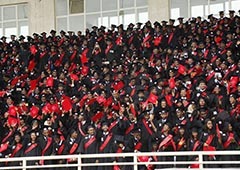 The university has given trainings to several girls and women. The university awarded prizes of different sorts to 122 female students who have got 3.25 CGPA and above. Of these seven students who have scored very great distinction took gold. 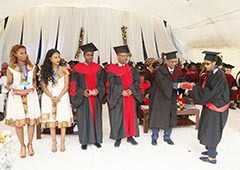 The university also awarded ten outstanding female students from preparatory schools in Adama. Adama Science & Technology University is working in collaboration with a number of world class universities and research institutes. 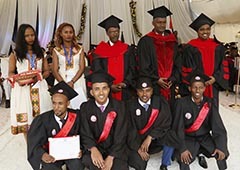 The establishment of several Centers of Excellence (CoE) in the university has given it the opportunity to scale up its engagement in executing its responsibility of transferring technology. In connection with this the university has signed MOA with Korea Aerospace Research Institute (KARI). Adama Science and Technology University is proud to announce the development of the first Satellite Control Ground Station of Ethiopia. 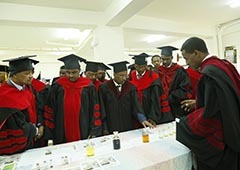 ASTU has got eight centers of excellence. Space Technology Institute is one of these CoE’s. This center is run by prof. Hongyul Paik, the former president of Korea aerospace research institute, who is now developing the satellite and remote sensing technologies for Ethiopia. Deputy Ambassador of Israel, Mr. Or Daniely made Public lecture to Academic Staff of Adama Science and Technology University. Mr. or Daniely delivered the lecture titled, “Innovation Lab: The case of Israel”. The lecture was about the story of Israel as an innovative country; the process of becoming the startup nation from being a developing country struggling with scarcity, wars, and lack of resources. What makes Israel one of the leading countries in innovation worldwide, how the public and private sector work together in building the right innovation-enabling ecosystem, and how these are related to Ethiopia have all been covered in the lecture. 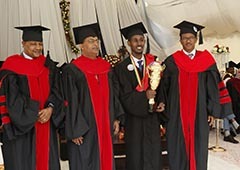 The involvement of ASTU in technology transfer is gaining momentum. A case in point is the successful designing and operation of an electromagnetic induction injera mitada (EMIM). The electromagnetic induction injera mitad (EMIM) was developed by ASTU staff members, Ato Feleke and Dr. Oquino from the school of Electrical Engineering & Computing. During the presentation of the newly designed EMIN, Ato Feleke demonstrated that the prototype assembled with its controller is ready for injera baking which he managed to show on spot!!!! The designers also made it evident that EMIM has got 50% improved performances in comparison with other electric mitads.This is a great stride in ASTU's role of transferring technology!!!! The office of postgraduate studies trained academic Staffs, who are specifically teaching and advising graduate students, on the postgraduate curriculum development and revision held from Feb 21-22, 2019. 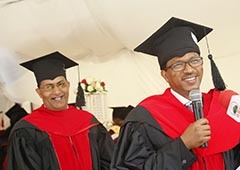 It is believed that the vision and development of the graduate curriculum cannot be achieved without the involvement of the academic staffs. So, the training focused mainly on the means to equip the academic staffs with skills of the curriculum development and revision. The contents of the training are curriculum development and program review, and the trainers were Dr.Ambisa Kenea and Dr. Dessu Wirtu, both from Addis Ababa University. The participants were Vice president, Central Deans, School Dean and academic staffs from all the engineering schools and applied natural sciences. One hundred twelve academic staffs participated in the training. Based on the training, schools are expected to form different program review committee at school and department levels so as to be able to reassess the existing PG curriculum and update them.